Anthony’s Cap Sante Marina in Anacortes Opens! After nearly three years of consideration, planning and successfully answering the Port of Anacortes’ call for proposals, Anthony’s Restaurant opened its newly constructed 6,800 square foot restaurant at Cap Sante Marina (1207 Q Avenue). The Seattle-based, family-owned restaurant, officially opened for dinner this evening. Before its doors opened, the new restaurant’s first order of business was hosting a Rotary Club of Anacortes private benefit for Boys & Girls Clubs of Skagit County – Anacortes and Gentry House, a Skagit Adult Day Care Facility. The event raised more than $15,000. The restaurant, similar in style to Anthony’s Squalicum Harbor in Bellingham, offers seating for 132 guests in the dining room. Two large, view decks seat another 100. The south side deck is seasonal while the north side deck is covered and features an outdoor fireplace. The latter adjoins a private dining room that accommodates 32 (seated), ideal for wedding rehearsal dinners and group banquets. A full bar, seating 42, brings Anthony’s popular happy hour. Seventy-five new jobs were created by the new restaurant; applicants were primarily from Anacortes and the Skagit Valley. Tami Wolfe, a 20 year Anthony’s team member, was promoted from within the company to serve as General Manager; Kurt Phalmer was promoted to his new appointment as Chef. For its first week, Anthony’s will serve dinner only, which begins at 5 p.m. Shortly thereafter, it will add regular lunch service. Hours will then become daily from 11:30 a.m., serving lunch, dinner, and added limited breakfast and specials during the weekend lunch service. Contact the restaurant for reservations at 360-588-0333. 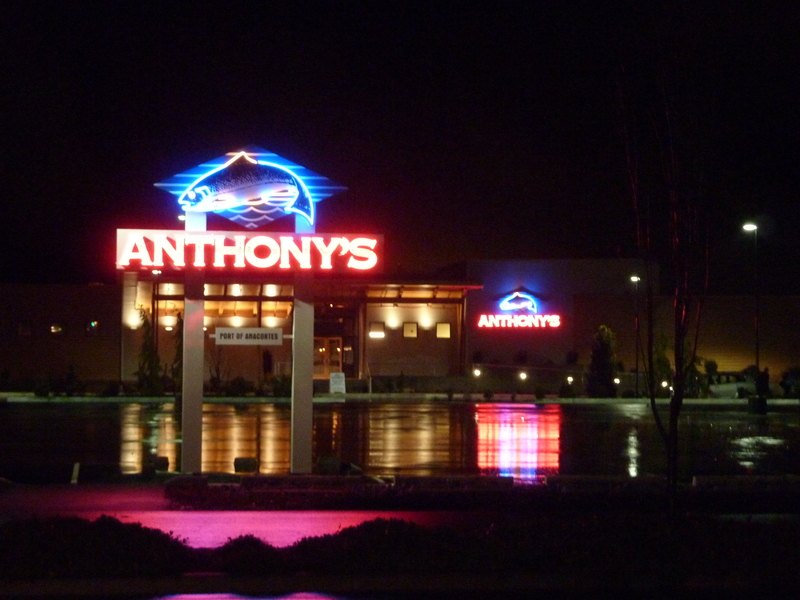 Anthony’s Restaurants, with more than 2,000 team members, owns and operates a family of privately-held restaurants in locations throughout the Pacific Northwest. From classic 'to-go' eateries to casual dining and relaxed dinner houses, Anthony’s core commitment to fresh Northwest seafood, complemented by local produce, Northwest wines and microbrews, is the foundation for each restaurant. To ensure Anthony’s commitment to purchasing only the highest quality fresh seafood, Anthony’s opened its own seafood company in 1985, located at Pier 91, Seattle. Anthony’s is proud of its continuing commitment to quality and value, which has made it the place for fresh Northwest seafood throughout the Pacific Northwest. Learn more and find all locations at http://www.anthonys.com.